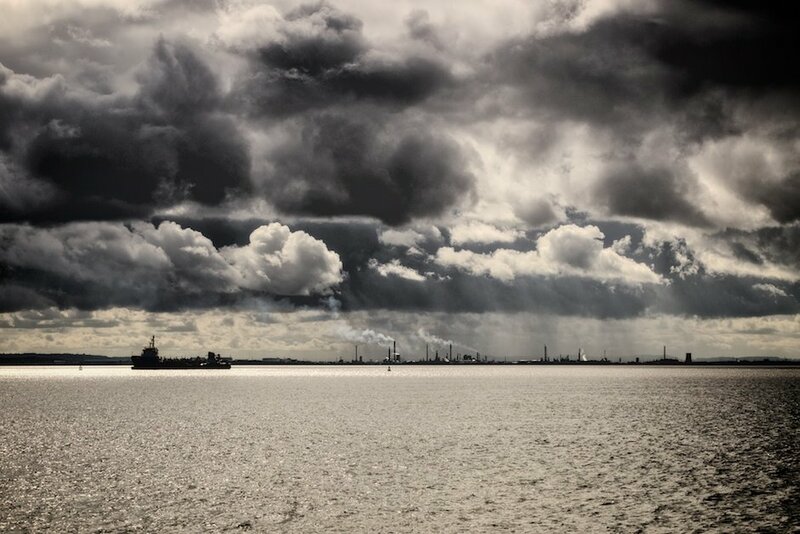 View from Otterspool prom down towards the Stanlow oil refinery. 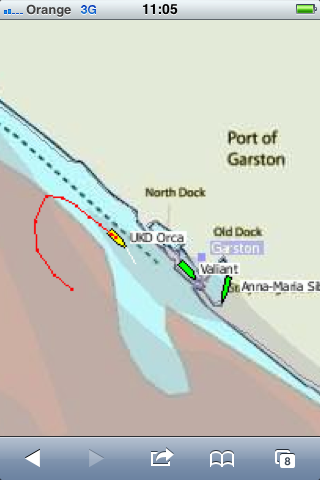 The ship in the photo is the UKD Orca, a dredging/underwater ops type, 78m by 16m by 4.5m. I know all this because I was watching the ship move in what looked like pre-determined paths up and down the river and I was wondering what it was doing – then I remembered this site. It lists all the ships currently on the river, shows where they are and where they’ve just been. Very clever – isn’t technology brilliant! Anyway, back to the photo – I particularly like how this came out due to the layering in the image – the stormy clouds at the top, the ship and the oil refinery in the middle and the texture of the river at the bottom. I did think about processing this in black and white but the little bit of colour in the image adds to it I think. What a beautiful and dramatic sky you have captured here, wonderful shot. Your great processing on the sky really adds to this composition. Super shot! Great photograph! I work for the company UK Dredging who operate the vessel pictured, we would be really interested in getting a copy of the original photograph from you!